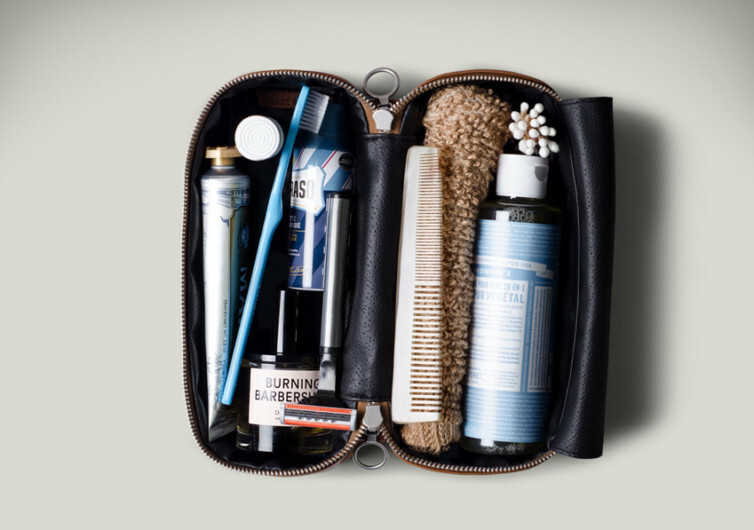 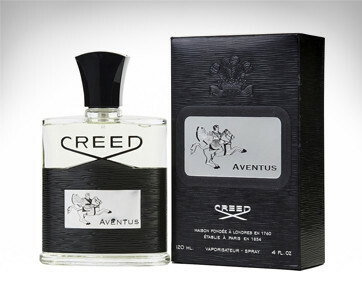 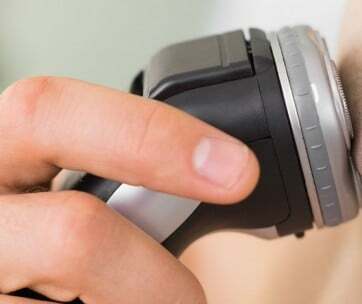 Forget flimsy, run-off-the-mill travelers’ kit to store your grooming essentials. 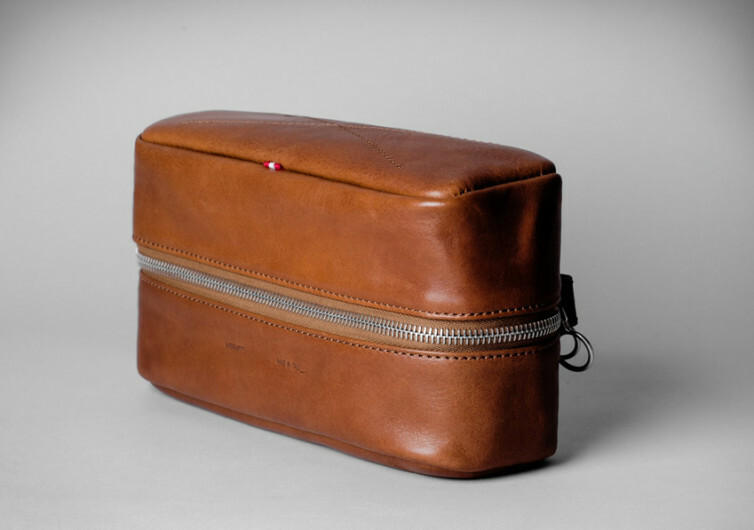 Get the full Disclosure Dopp Kit and marvel at the elegance of its design. 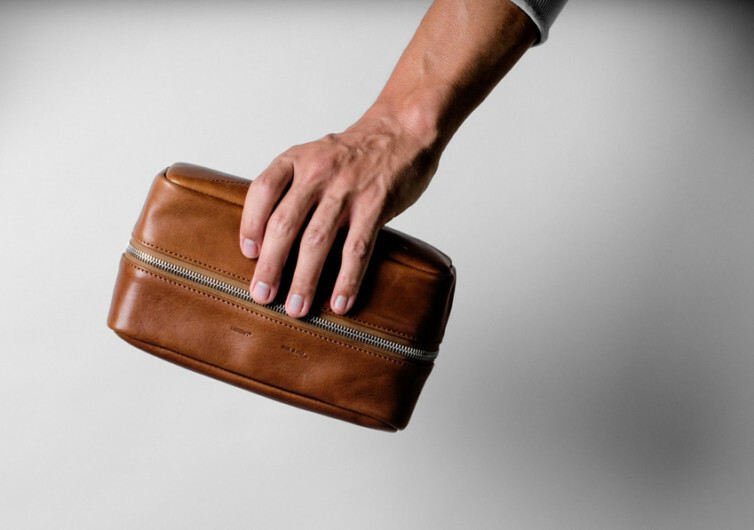 Made of premium Italian leather with European parts, this double compartment Dopp kit comes with a lid that features the company’s signature X stitching. 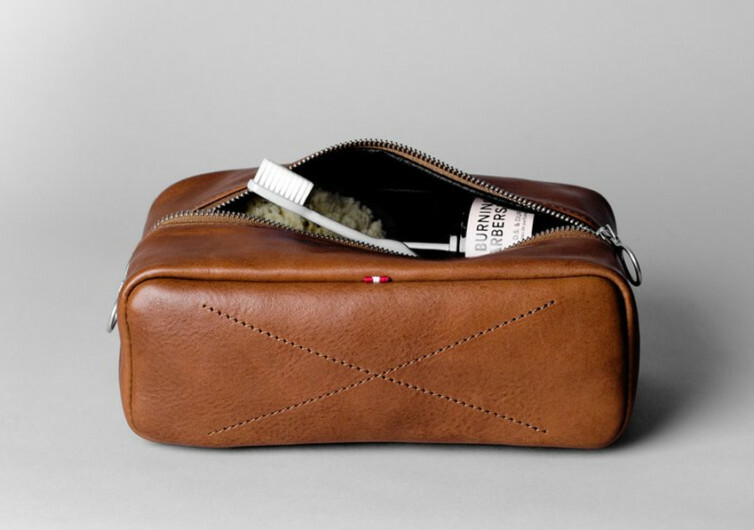 Its spacious interior is perfect for storing your man essentials from your shaving kit all the way to your perfumery and bath essentials. 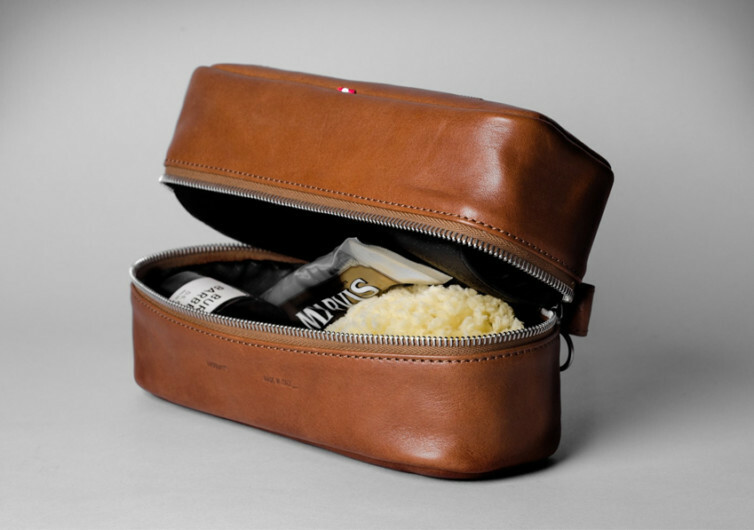 The interior lining can be easily wiped clean while a divider is integrated to keep your things fully organized. 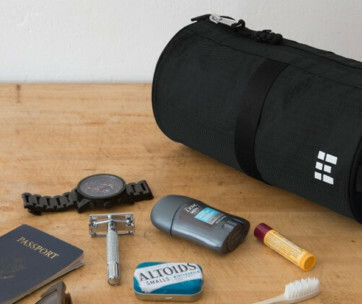 The divider itself closes with powerful magnets, securing your essentials inside.